It was going to be a short day, but I knew it would be across mountains. I was aiming for Varmahlíð. 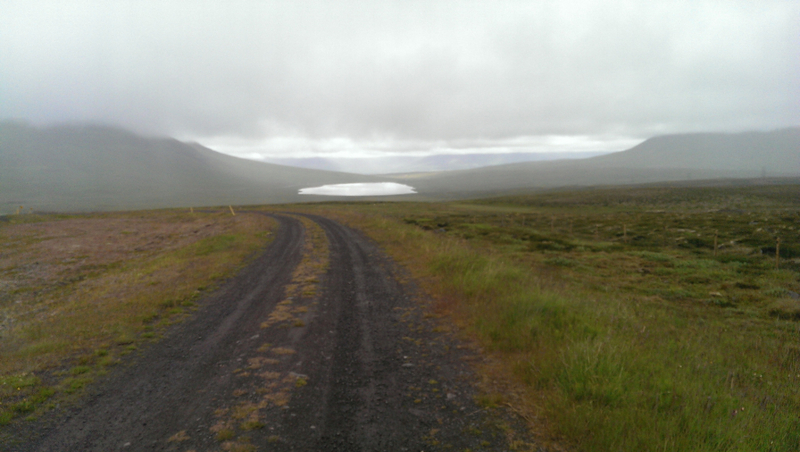 The next big goal was Akureyri, the northern “capital” of Iceland. It’s a city among mountain ranges, in winter time closed off and inaccessible. It was going to be the toughest part of the journey. 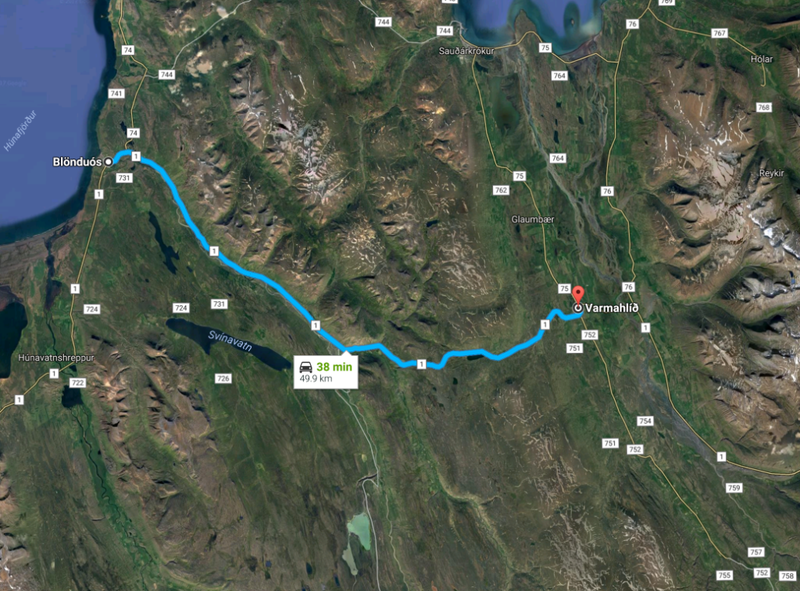 I knew some cyclists get a bus from Reykjavik to Akureyri and do a few trips around there, but that wasn’t my itinerary. Even though it had been six days so far, I still was struggling somewhat with the placement of the gear in the bags – what goes where, are they balanced, etc. But habits were starting to form slowly. 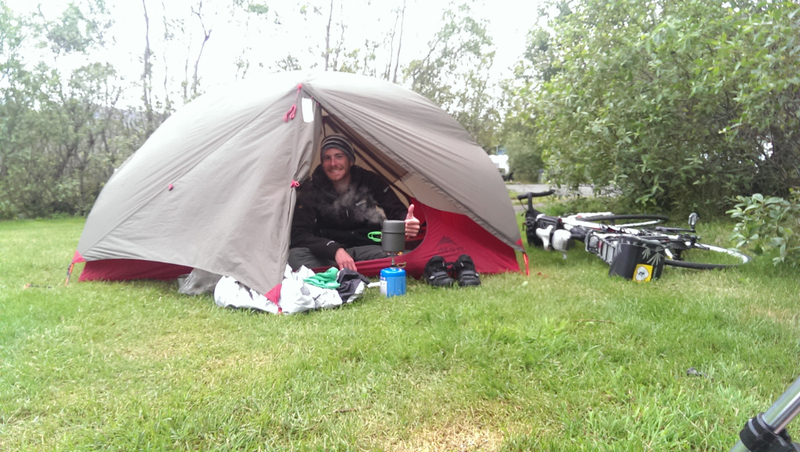 For example, as soon as I woke up, I changed in the tent into my cycling gear to reduce the risk of my sleeping clothes getting wet if it rained outside. I packed all the little bits and bobs into their corresponding dry sacks and put them into one side of the tent. 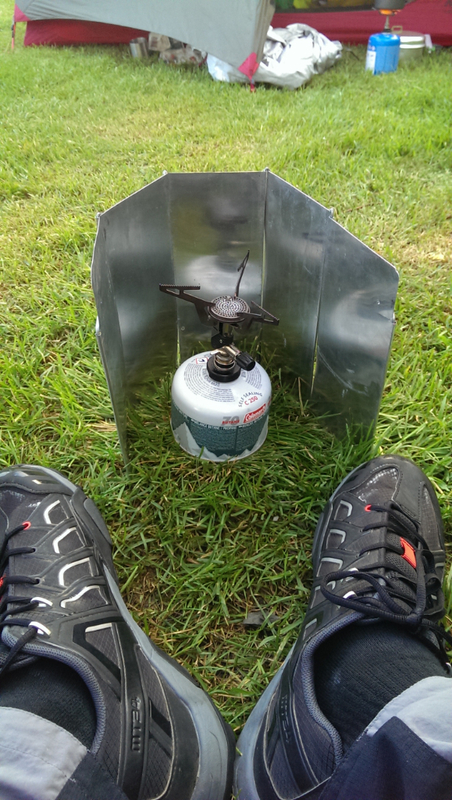 The food back was between the inside and outside layer of the tent with pots and the gas stove. All was slowly falling into place and the rhythm was developing. I got out, washed myself and encountered Elad, the cyclist from the previous night that I thought of as fancy, or rather unusual. 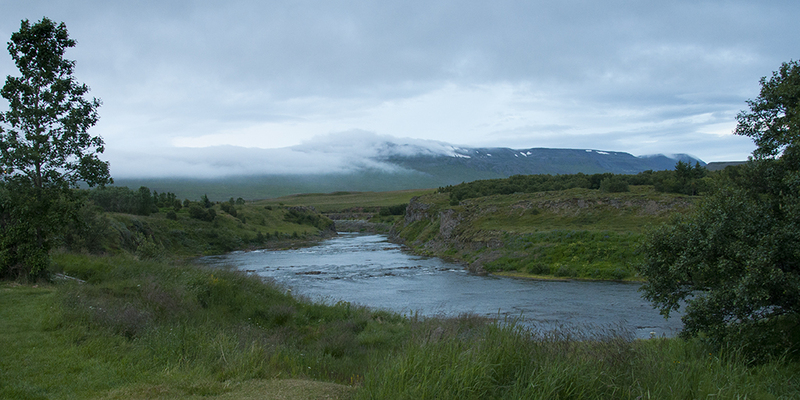 We chatted and I realised his goal was also to sleep at Varmahlíð that night. I moved on and made breakfast – coffee, oats and honey. Packed everything and it was time to go. It was raining, but it was warm. The wind was behind me. 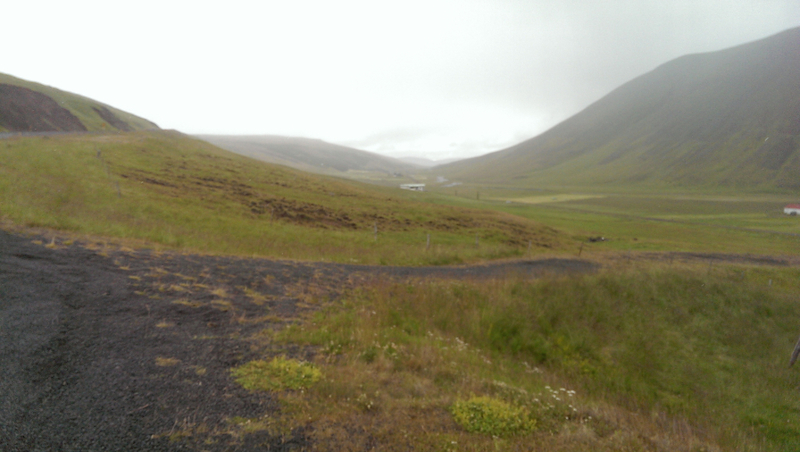 I had to climb a very steep hill to get out of Blönduós. Not warmed up yet it felt like I was sluggish and unresponsive, as if it was day one. With a lot of puffing I got to the top of the hill. 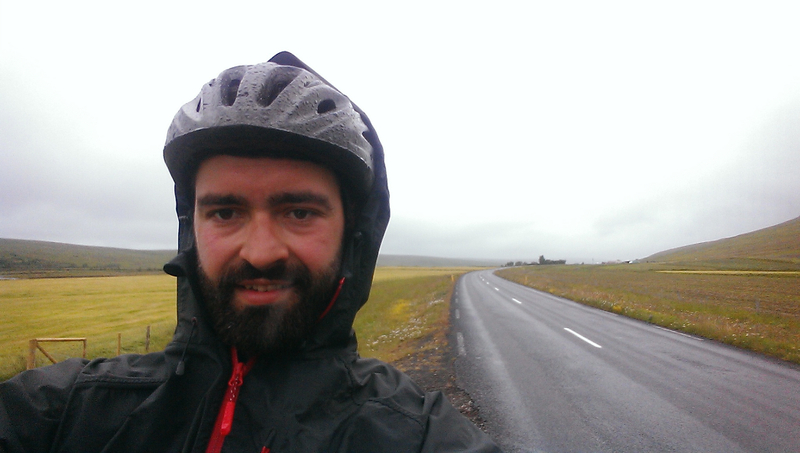 The rain got heavier, so I pulled my hood down and started peddling. Quickly I was too warm because of all the layers and unzipped the jacket under the armpits to get some of the heat out without soaking my under-layers from the rain. I started to wonder about Elad, would he leave soon, maybe he already did. If he bypasses me now I would lose all moral. The thought of that gave me a burst of energy, I switched gears and pushed on. Soon I was out of the storm and stopped to take the waterproof jacket off as it was making me too warm. The scenery was beautiful! 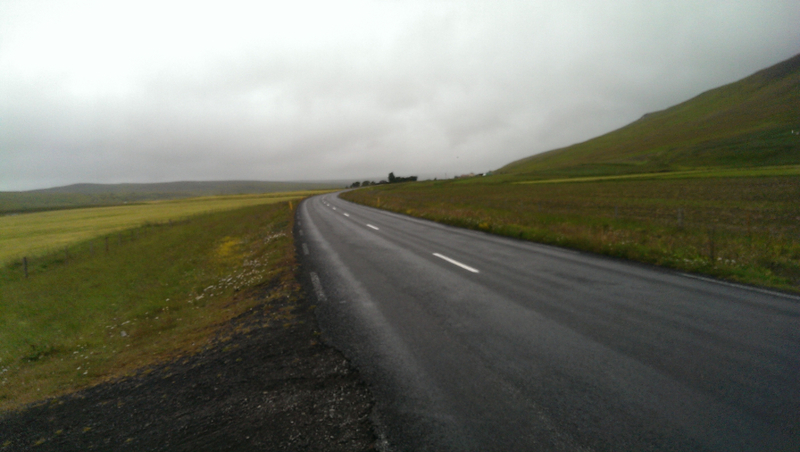 Freshly cut fields, hills on both sides and the road as flat as it gets. It was totally enjoyable to cycle and I pushed on to make up the kilometres as I was sure the hill would take me a while to climb. Maybe it was because of the rest day before, but I felt more confident. 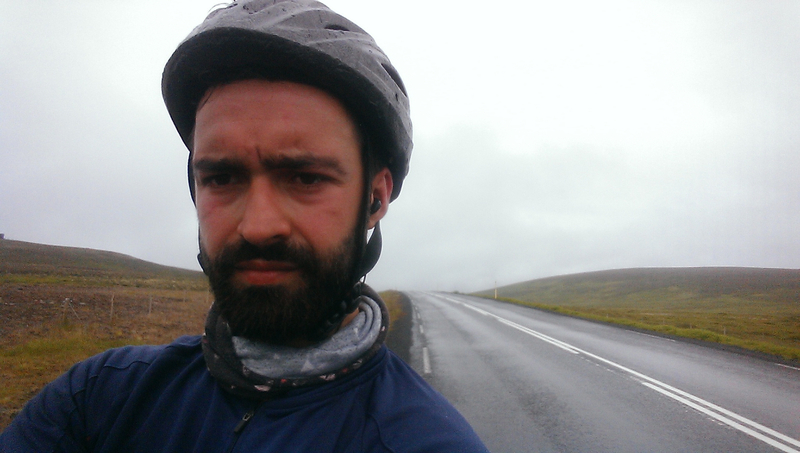 The doubts were quieter in my head and I was looking forward to cycling. Maybe it was the fact that I got to interact with people or because the wind was not there anymore. Whatever the reason I slowly started to feel like I am where I should be. A little bug hitched me for two or three kilometres. It was sitting comfortably on my sleeve and hid from the wind in one of the creases. Then, just as it appeared, the little one jumped off and went on its business. 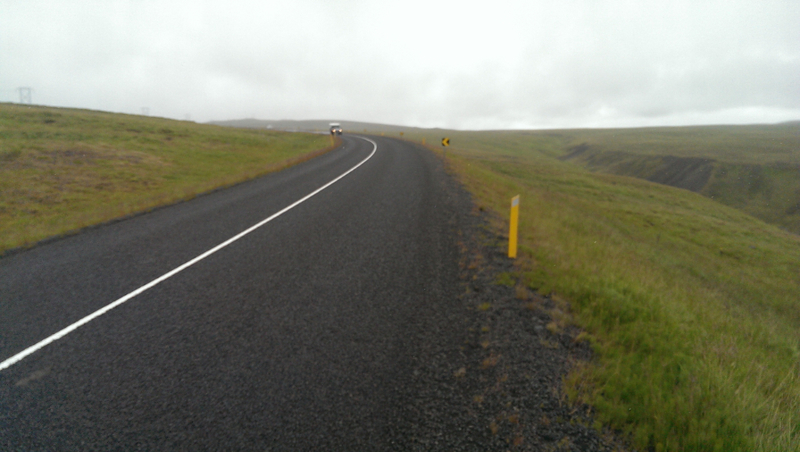 The cars were a lot less than on the way to Blönduós. I had no clue which day of the week it is, but I could notice the difference in traffic. Feeling a bit low on energy I opened my handlebar bag and snacked on a few Oreos to keep the engines going. Not sure what this farm was for, but it seemed to me it might be fore cattle or sheep. I don’t think they would keep the horses in a similar structure, but then what do I know. 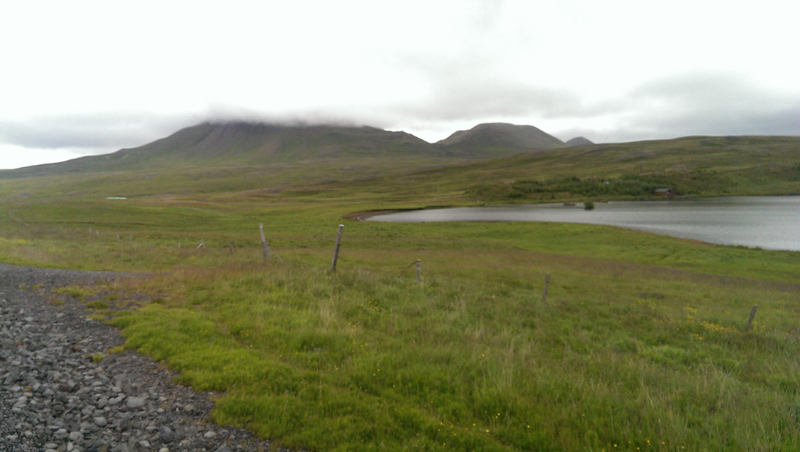 Since the beginning of the trip I hadn’t climbed that many hills, but I was entering the mountains in the North now. 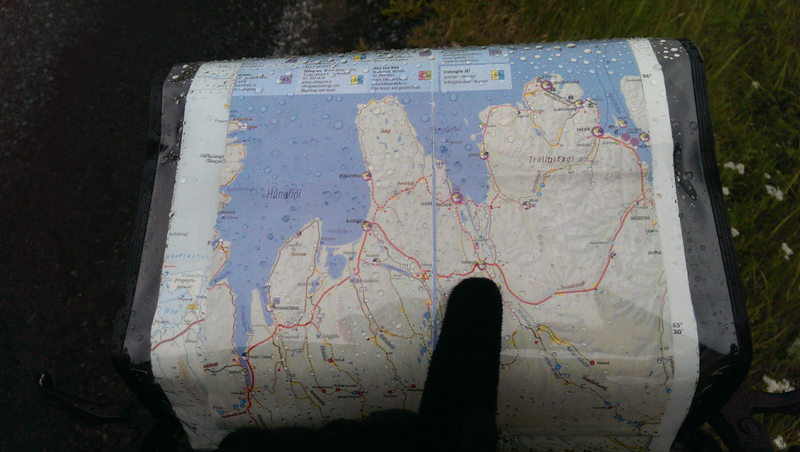 On my cycling map it showed a section with 10% or more grade for a distance of about one to two kilometres. I was at the bottom of it now. I swear, I gave that hill everything I had. I was determined not to stop, I huffed and puffed, switching eventually to my lowest gear. It felt the same as a hamster on one of those spinning wheels. Peddling fast and barely moving, the hill not budging and as if starting to increase the incline just to see how much I would last. 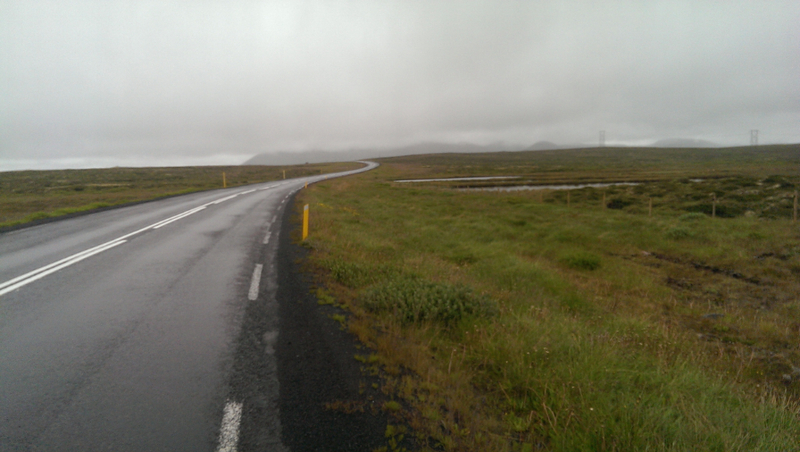 I stopped, out of breath, sweating I moved to the side of the road while cars zoomed past me. It was raining again, but I hadn’t even noticed it. “Come on”, I told myself, “just a little more”. I got on the bike again and continued hamstering up the hill. I had to stop a few more times before I finally made it to what seemed to be the top. 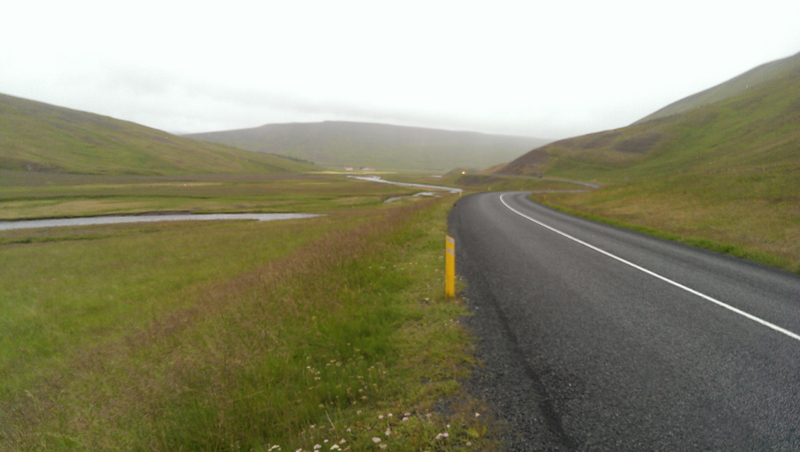 Well, as these stories go, it wasn’t the top yet, but after a few more minor climbs I was finally on flat, at the highest point of the mountain pass and more than half way to Varmahlíð. Catching my breath again I could appreciate the scenery. I was alone in a road engulfed in clouds, with the occasional car appearing and disappearing again into the white cotton that surrounded me. Generally quiet with a slight breeze it was incredible. I looked around, peddled slow and tried to take as much as I can in, as I knew such a moment would never happen again for me – saudade. 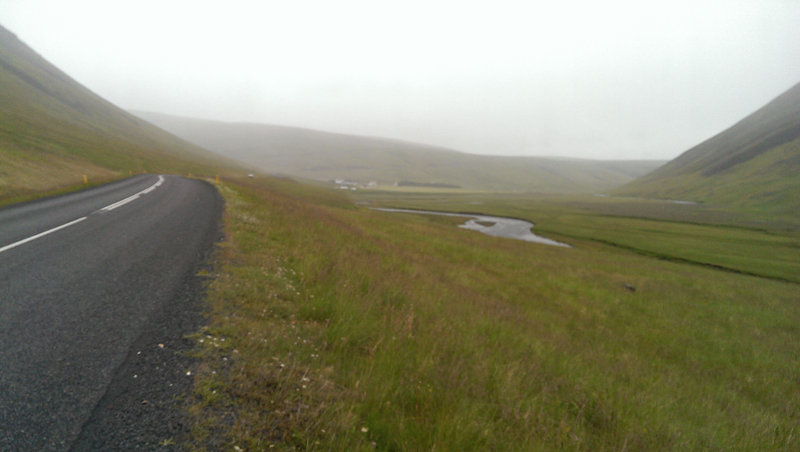 The wind was slowly clearing up the mist and I could see the edges of the plateau that I was on. Starting to pick up the speed I put some music on and got into a rhythm again. 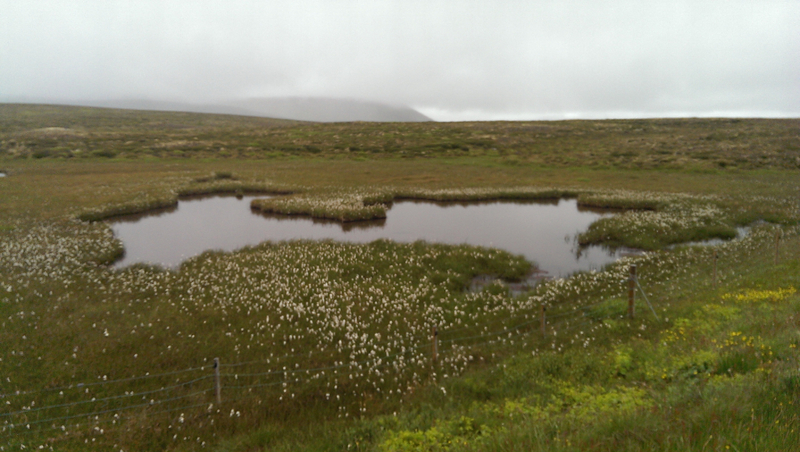 Soon it was the edge of the plateau and the view downhill. I stopped to take the view in. “Damn I’m lucky”, I thought. I really loved every bit of being here and knew I wouldn’t regret it no matter what. It was time for every cyclist’s favourite part – the downhill. While flying down the hill I saw a monument on the side and decided to stop for a bit as I was near my destination and had enough time. It was the Stephan G Stephansson Monument. Stephansson was a farmer and a poet, who emigrated to Canada but then came back to Iceland later on (you can read more about him here). Elad zooming past me, just about to take the turn. Well, “I didn’t do that bad” I thought to myself. If it wasn’t for all the stops I would have been at my destination by now. I packed and moved on. 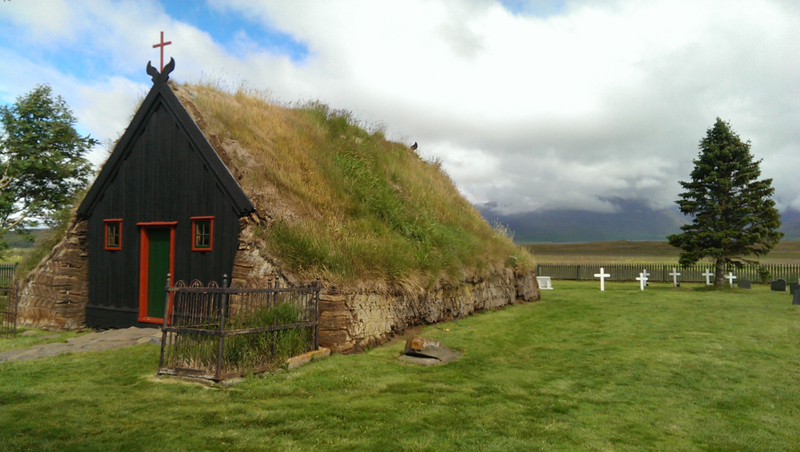 I had done my research and I knew that just before Varmahlíð, there was an old traditional church build with stones and a moss roof called Víðimýrarkirkja. I wanted to visit it so I took a diversion. The road was flat with relatively little wind, thus making for an enjoyable ride, especially considering that the clouds were opening up and the sun was shining. I didn’t go in as they were having a service and I would need to pay apparently. Soon I was in the small town / village. There is a petrol station on the main junction where the road #1 splits. I stopped in and asked for the campsite. 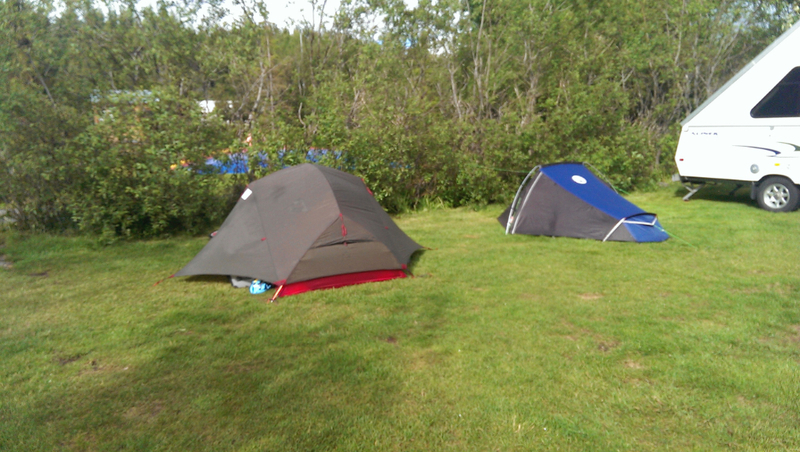 They told me it was at the top of the hill (of course it was, where else could you build a campsite, sure it can’t be on the lower, flatter planes). After more huffing and puffing I was finally there. 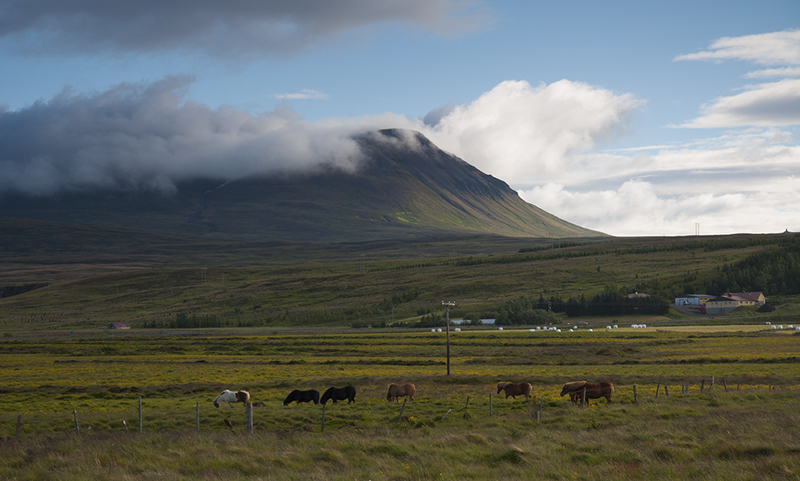 On the left there was an idillic view of a farm and the traditional Icelandic horses grazing. On the background a typical Icelandic mountain, crowned with clouds and swiftly raising from the planes with it’s wind-carved smooth shapes. I found Elad and greeted him. He invited me to put my tent next to him and I gladly obliged. He was making food, so I thought it is a good time for me to have some as well. We started talking more and I invited him to join me to try the local mineral baths as we had a lot of the day left. He agreed and we went for a walk to the gas station to find out if there were any. On exiting the campsite another cyclist past us, he was just coming in. We had a quick chat. 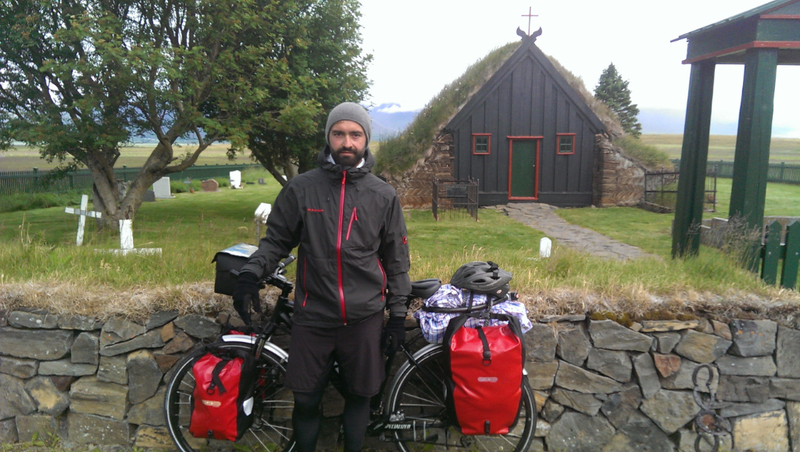 He was British and had just cycled through the heart of Iceland, a tough terrain, without any proper roads, just some dirt tracks made for 4x4s. He said that on a good day he would make 40km. We separated with the agreement to meet up later. “40km per day” I thought, that must be really difficult. 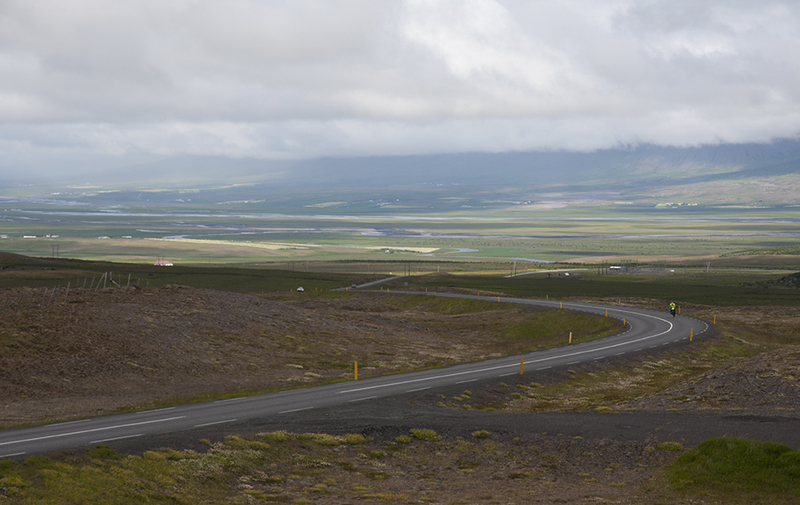 It made me feel glad that I didn’t for that option as Iceland was teaching me every day how inexperienced cyclist I am even with the smooth tarmac and campsites with a shower at the end of the day. The baths were open and in fact very close to the campsite. We paid and got in. “Aaaah”, again. Such an amazing feeling to enter the 40° water at the end of a long day where the wind, rain and cold have been beating you up. A few Icelanders joined us in the pool. We started to talk. They were seemingly in their late 50s or early 60s. Speaking in absolutely perfect English we talked about Iceland and how it has developed through the years. They told me, they can understand a bit of Norwegian and Swedish as the languages share similar roots with Icelandic. 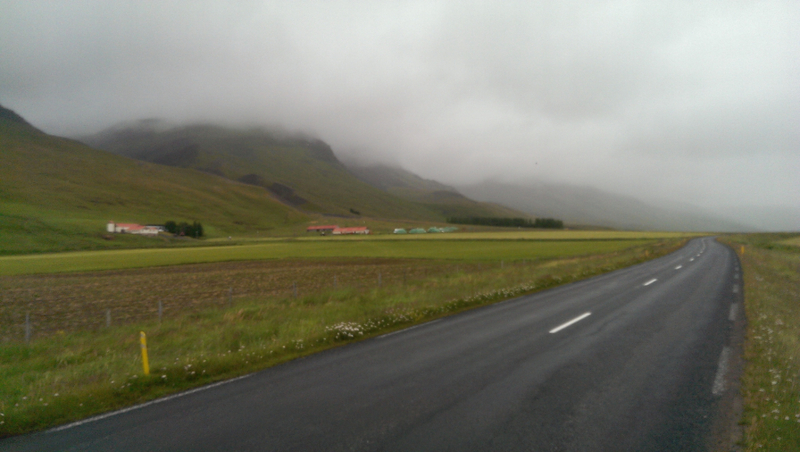 We touched briefly on the economy and why it is such a high standard in Iceland. They told me that it’s not the same after the crisis of 2008 and that in fact the standard is lower compared to then. The baths were closing so we left and went back to the campsite. Prepared for bed and I enjoyed the long break in the evening. It was good to slowly pick up the pace again and increase the kilometres rather than doing long days. 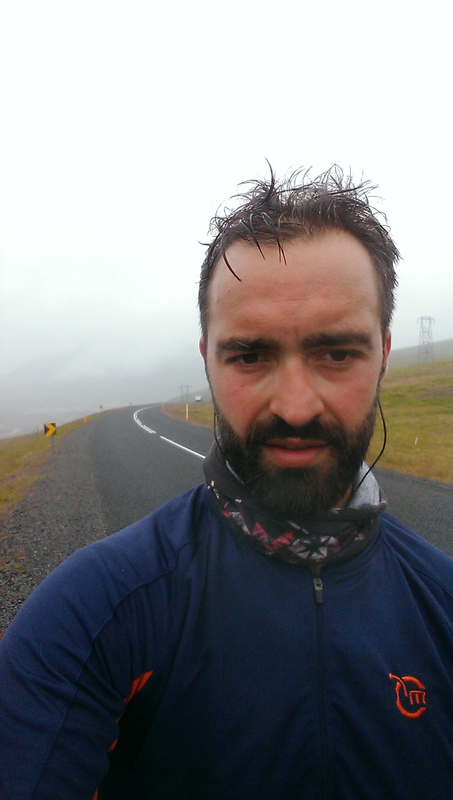 Elad seemed to have the same goal as me for the day after – Akureyri! I didn’t realize Víðimýrarkirkja was still in use, we got there very late in the evening so the church was closed, I just assumed these days it’s used for visiting only. Nice! Yes, I was also surprised, but I think Icelanders are very keen to preserve their traditions and culture.